As we're already aware the new S-Stock trains are on their way this Autumn. On the face of it the new trains will have many benefits for passengers, more cabin space, CCTV, walk-through between carriages, climate control, level access with platforms where possible.... amongst others. But along with any change, there are benefits and drawbacks. And one of the drawbacks is that until the new signalling for the Metropolitan line is complete, the new trains are unlikely to be able to travel any quicker, so we'll have the similar journey times as we do now. The other major drawback for us in the outer zones with longer journey times on the new trains is the 30% less seats. This is to be counterbalanced by new signalling, will allow trains to run more frequently, hence with a 30% reduction in seats there is supposed to be a 30% increase in peak time services. As we've already highlighted in the Chorleywood Newsletter, the re-signalling contract for the Metropolitan Line was delayed due to the demise of the MetroNet PPP contract for Infrastructure upgrades, and the moving of this work back as an in-house operation within TfL (Transport for London). Tender responses are now in, and are currently under evaluation, with a recommendation due before the end of 2010. The risk that we now face on the Metropolitan Line, and other lines, is that capital investment that is not already committed is under threat with the pressure that is being brought upon government finances. All of the DfT (Department for Transport) capital investment programmes have been called in for review by the minister. This includes local schemes such as the Croxley Link. But we also need to be aware that TfL investment programs form a very significant part of the overall DfT capital budget, and there is plenty of comment in the press that London will, overall, be significantly hard hit by reductions in funding flowing from the DfT. We also have the commitment from the new government that Crossrail is "protected". Although it's good that Crossrail is finally going to get the go-ahead, will this mean that London is getting too much funding at the expense of other parts of the country, and funding of other London projects is cut back as a consequence? TfL (Transport for London) appears to be conducting a robust defence of it's investment strategy in a recent paper issued by the Mayor of London and TfL entitled "London's Transport upgrade, Britain's future growth". This paper (Pages 4 and 5) shows the sorry story that the majority of the outer Metropolitan Line is running on systems that date from the 1960s, 1950s and worse still 1940's. These fully-depreciated assets are being kept running by a team of very dedicated engineers within TfL, who often have to resort to their own workshops to manufacture spare parts when things go wrong, as the systems are so obsolete there's no way of getting replacements from the market. The Residents' Association has been working with the Federation of Metropolitan Line user committees to ensure that when the axe does fall on Transport Infrastructure projects that the case has been made for the Metropolitan Line as strongly as possible. Residents have been engaging with their MPs along the route, and for those within London also with their London Assembly members. We've raised the issue with David Gauke. What happens if in the intervening time, the DfT's budget is cut back so the allocation of funding to TfL is reduced so significantly that they cannot proceed with the re-signalling contract at the end of the year? We'll have new trains, but they'll run at the same speeds and at the same frequency. In Chorleywood it's unlikely we'll be able to get our bums on the seats on the new trains. And we still won't have a passenger information system. All of these are already a certainity - what is uncertain is how long it will go on for. If the money can be spent on re-signalling we'll be put to this inconvenience for about 5 years. 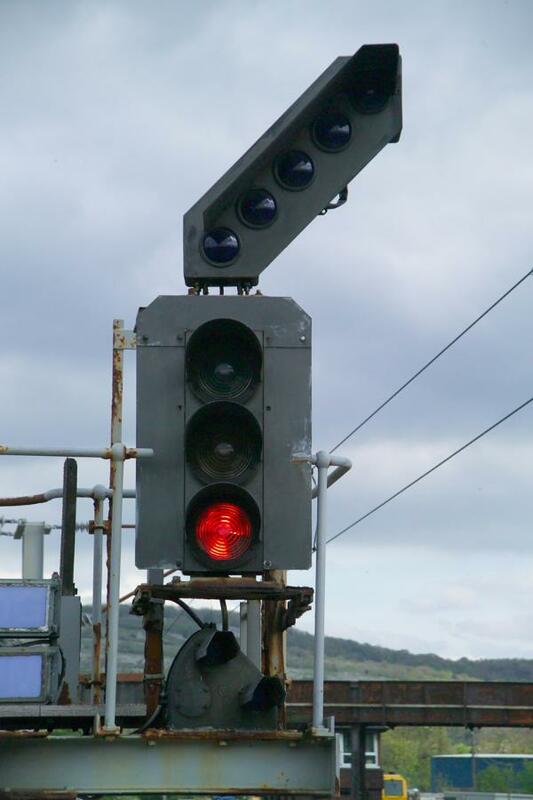 If the money is not available the delay between new trains and new signals will only increase. And all the time we'll still have to put up with signal failures, lack of good passenger information, and better journey times.